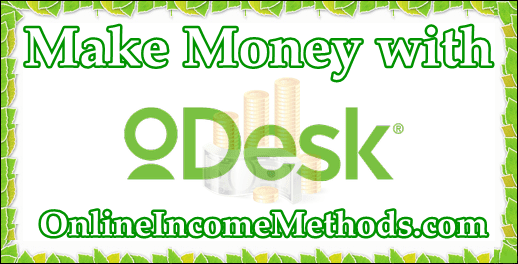 Upwork formerly known as oDesk, is one of the most popular online freelance website where freelancers around the world get the chance to make good money right from their bedroom / home. They are allowed to meet thousands of clients that can give them quality and high-paying jobs. It serves as a medium between freelancers and clients to discuss jobs, to have their interview, to have their contract and to facilitate the payment. To start Earning from Upwork, The first thing you need to do after signing up is to complete your profile. Fill up all necessary fields and include your photograph. You can also include your employment history and other pertinent information. Clients prefer to hire freelancers with complete profile because they can see everything they need to know from your profile. After completing the profile to, you have to take a couple of tests related to your field of expertise to let the clients see how good you really are. The number of completed tests will also determine your job quota-the number of job applications that you are allowed to send. After taking a test or two, you can start applying to jobs. Make sure your Upwork profile is 100% complete and you have added a good portrait as your profile picture. There are two Types of Jobs at Upwork, the fixed-priced jobs and the hourly jobs. Fixed-price jobs are jobs that are paid in a fixed amount after completion. The client and the freelancer will have to agree for the price of the whole project before having the contract. while in hourly jobs, the price will be determined by the agreed hourly rate and the amount of time the freelancers consume to finish the job.In applying for jobs, you need to consider few things for you to be hired. First, you need to consider the type of job that you will choose. You have to consider the difficulty of the job, if you can do it or not. Only apply for jobs that you can do so that you will not waste the client’s precious time if ever you can’t do the job properly. Another thing is you have to construct the best application letter you can make. Let the client know that you understand the job description properly and convince them that you’re the right person for the job. Lastly, don’t be so choosy. Be prepared to accept low-paying jobs. You will have to bid wisely, the bid shouldn’t be too high that client may reject you suddenly and must not be too less that the client may consider your quality of work to be worthless. A wise bid would be slightly lower than the budget of client. For instance, client shows the budget of $100, then you should bid around $95 or $90, it shouldn’t be less than that and shouldn’t be more than that. These kind of jobs will help you get good ratings and will serve as your stepping stones to have a better profile and be hired for higher-paying jobs. Make sure to work according to the instructions given by the client and always try to deliver before time. Once you have achieved good feedback on your Upwork profile from the client’s side, later it will be easier for you to hunt for more Freelance jobs on Upwork. Most of the clients (employers) on Upwork will give you a trial assignment which may not be offering you good money on initial basis, but once you have passed those trial assignments, you will be highly likely to get more freelance jobs from the same employer. In the long run you will surely catch up High Paying Freelance Jobs on Upwork. After getting your first contract, you have to keep in touch with your client (employer). Communication is very important for them. Let them know about your progress, ask them questions, and notify them if you’re done with the job. And the last thing you need to know that will help you before you start your Upwork career is always be patient. It might take some time before you get hired-days, and even weeks (if you’re that unlucky) because you’re also competing with other freelancers around the world. Just bear in mind that it is just temporary, because once you’ve been hired and got a good rating, getting jobs will be much more easier. In the long run when you have established very good profile feedback on Upwork, its highly likely that you will be earning up to $2000 – $2500 on monthly basis. For that you need to keep on struggling hard and bid wisely on the projects / jobs posted on Upwork. How To Get Paid From Upwork?Once you will reach the minimum payment threshold of $100, you will automatically get paid if you have a verified payment withdrawal source added into your Upwork payment profile. There are variety of ways through which you can get paid by Upwork Freelance Network. They recommend local funds transfer for most of the countries and charge $4.99 per withdrawal, which is actually too expensive. If you are based in USA, your direct bank deposit / ACH will be free of charge for you. Other withdrawal options include Payoneer, PayPal and Skrill (Money Bookers) which also have withdrawal fees involved. If you are not based in USA and want to avoid $4.99 per withdrawal fee, you must use Payoneer’s US Payment Service which will assign you an account in Bank of America, this way you will only have to pay 1% of the transferred amount. If however your 1% of total withdrawal amount becomes greater than $4.99, prefer to use the default local funds transfer by Upwork. For instance you need to withdraw $1000 from Upwork, through Payoneer’s US Payment Service, it will charge you $10 which is greater than $4.99. ← How To Make Money With Adfly URL / Link Shortener?